Gunther Kress Theo Van Leeuwen Gunther R. GressThis second edition of the landmark book Reading Images builds on its reputation as the first systematic and comprehensive account of the grammar of visual design. Drawing on an enormous range of examples from children's drawings to textbook illustrations, photo-journalism to fine art, as well as three-dimensional forms such as sculpture and toys, the authors examine the ways in which images communicate meaning. Features of this fully updated second edition include: new material on moving images and on color, a discussion of how images and their uses have changed through time, websites and web-based images, and ideas on the future of visual communication. 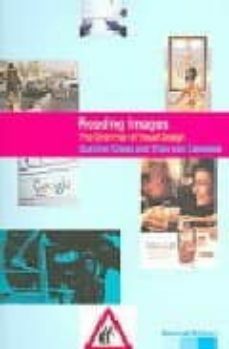 Reading Images' focus on the structures or "grammar" of visual design: color, perspective, framing and composition, provides the reader with an invaluable "tool-kit" for reading images and makes it a must for anyone interested in communication, the media and the arts.